SAN FRANCISCO--(BUSINESS WIRE)--Wells Fargo & Company (NYSE: WFC) today announced that the company will provide an additional $3.25 million in financial resources to residents, small businesses and nonprofit organizations in Butte County, California, to address critical housing and economic challenges that remain after devastating wildfires spread across the county last year. Wells Fargo’s donation will be distributed to the Butte Strong Fund held by the North Valley Community Foundation, which is working to meet needs in Chico, Paradise and other towns. This commitment is in addition to the $2.8 million already contributed by Wells Fargo to wildfire disaster relief in the state in 2018. Since then, Wells Fargo has deployed its Mobile Response Unit to assist customers with disaster relief and insurance check processing and hosted a Community Day in Chico, California to honor community leaders and those providing direct and immediate relief efforts. Wells Fargo volunteers also assembled care kits for first responders and wrote letters of support to those affected. Additional Wells Fargo volunteers are gathering with community leaders today to distribute meals for area residents. The support from Wells Fargo, to be implemented in conjunction with the Butte Strong Fund, will focus on two urgent needs: housing and small business recovery. These needs have been identified in concert with community leaders, nonprofits and Butte Strong Fund administrators to meet the most pressing needs. 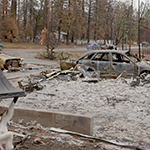 The model of the Butte Strong Fund is to invest in nonprofit organizations and agencies directly providing services to people impacted by the Camp Fire. The transition of final evacuees who are currently staying in the temporary Red Cross Shelter. As this shelter closes at the end of January, funds will be used to provide case management, housing readiness and services to 728 individuals who need stable housing with the least amount of disruption and to fully integrate them into support services. Of the 728 in transition, Wells Fargo will subsidize rent for up to 300 displaced families going into temporary housing for up to six months to help reduce stress and financial strain. Funds allocated by Wells Fargo will also provide up to 100 units of temporary workforce and senior housing to retain the local workforce to stabilize businesses and ensure individuals with fixed incomes are secure. Loan capital earmarked for long-term business recovery plans, such as needs for infrastructure, staff, inventory, equipment and other assistance. Enhanced capacity to provide on-the-ground outreach to small businesses and get funds into the hands of small business owners more quickly. Recovery initiatives to help small business owners with short-term and mid-term capital to address unmet credit needs as they rebuild and retain local jobs. With tax season fast approaching, Wells Fargo also recognizes the burden of tax returns on residents in Butte County affected by the wildfires and will work with local organizations to deliver tax refund assistance and help residents navigate the complexity of filing from within a disaster area. Over the next six to 12 months, Wells Fargo will continue to address the mid-term to long-term housing needs of displaced residents of Paradise. By working through the Butte Strong Fund, Wells Fargo will expand workforce housing and offer aid in the planning and design of Paradise’s reconstruction. In addition, Wells Fargo team members will be on hand throughout the year volunteering alongside community partners like Habitat for Humanity and others to repair and rebuild temporary and long-term housing. 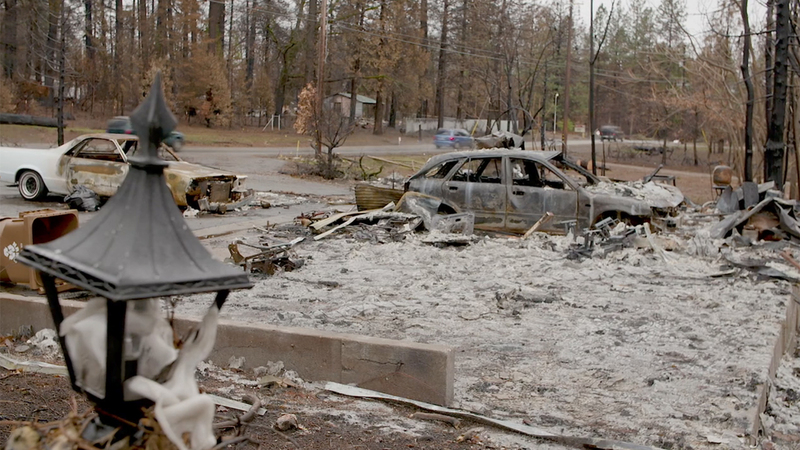 Wells Fargo Helps Chico, Paradise and nearby towns with recovery and rebuilding after devastating wildfires.